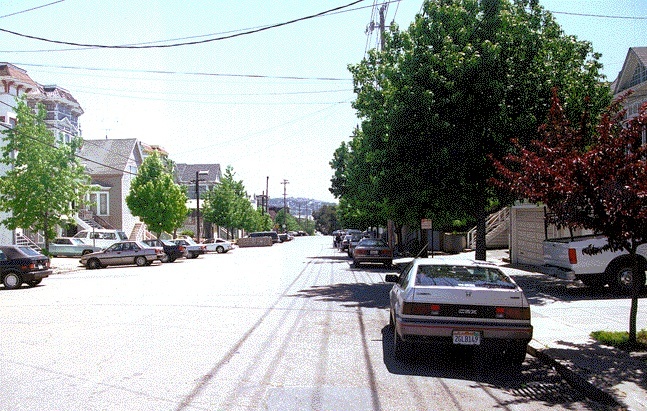 Tennessee Street, 1990s, before the gentrification really took off in "Dogpatch." 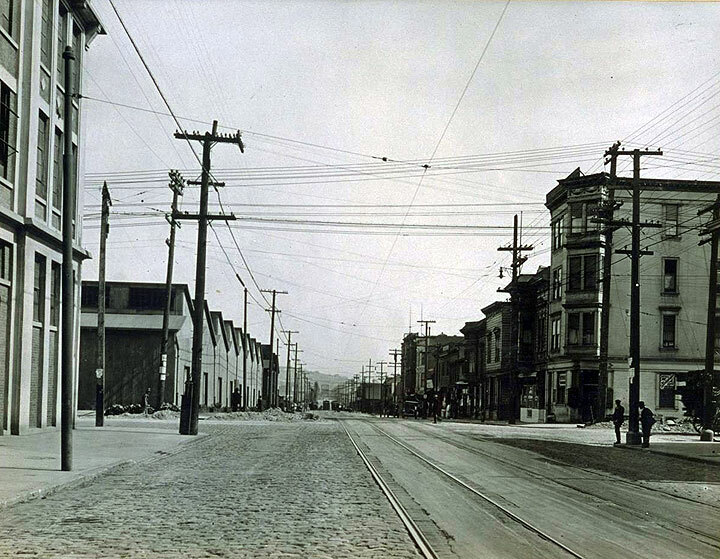 Third Street south from 22nd, 1920, in the heart of the industrial zone that later became known as "Dogpatch". "Dogpatch," one of at least two spots in San Francisco that derive this ubiquitous nickname from the L'il Abner comic strip. 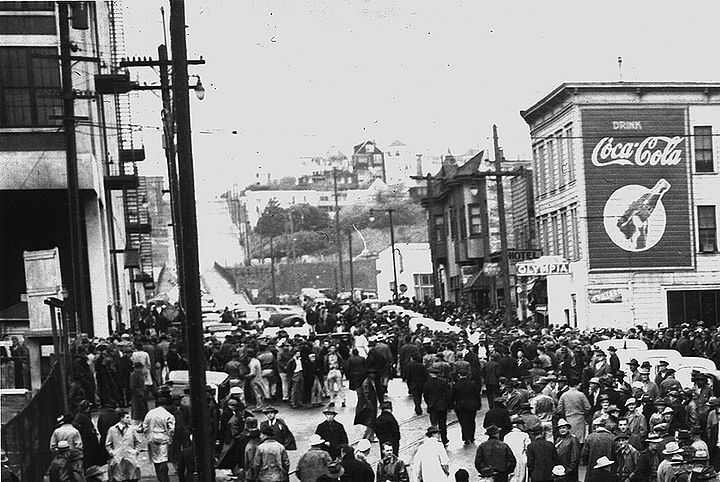 This is Tennessee Street between 22nd and 23rd Streets, an area that once housed shipyard and other industrial workers, but is a slowly gentrifying area between Potrero Hill and the abandoned shipyards. 20th and Illinois in foreground with strikers from the Bethlehem Shipyards milling about in this 1945 photo. Potrero Hill rises in background with earlier viaduct up 20th connecting Dogpatch and crossing what was once Irish Hill.